Feyenoord followed last weekend’s strong performance in the Klassieker against Ajax with a miserable display in the Rotterdam derby against Excelsior on Sunday, losing 2-1. 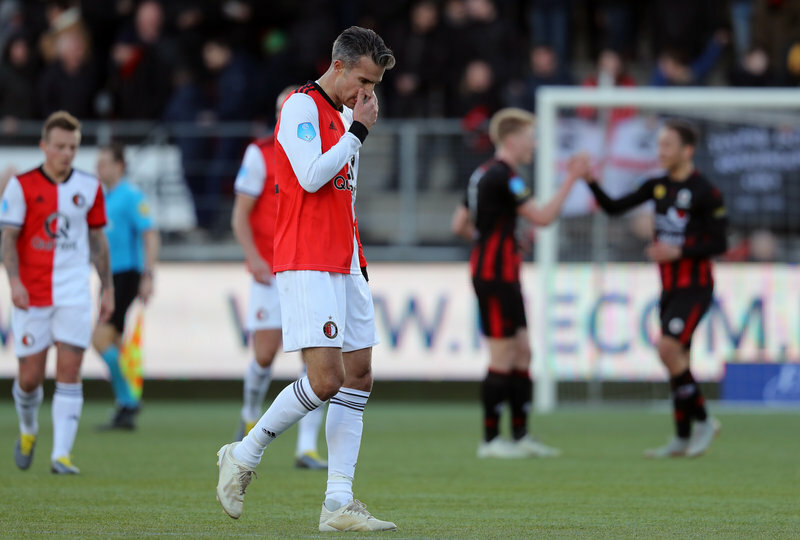 Giovanni van Bronckhorst’s side were below par against their city neighbours in Kralingen, but seemed to have done enough to claim the three points when Robin van Persie added to his tally on 54 minutes to give Feyenoord the lead. It was the club top scorer’s 11th Eredivisie goal of the season. The lead was wiped out fairly quickly, Ali Messaoud equalising just past the hour mark. The visitors responded by taking more risks to secure all three points, but it was the hosts who got the all-important third goal of the afternoon. Kenneth Vermeer had already been called into action on a couple of occasions to keep Feyenoord on level terms, but he was left with no chance when Robin van der Meer smashed in the winner deep into injury time. As a result, Feyenoord suffered a painful defeat just a week after the outstanding victory against Ajax. Feyenoord are at home to De Graafschap on Saturday 9 February, kick off 20:45 CET.